Lady Gaga has debuted her latest single before thousands of festival-goers at Coachella this weekend. Gaga told the crowd “you cure me every time with your love” while performing a rendition of her new track The Cure. The pop superstar was announced as a last minute headliner to one of the world’s biggest music festivals after it was revealed Beyoncé would have to withdraw due to her pregnancy. 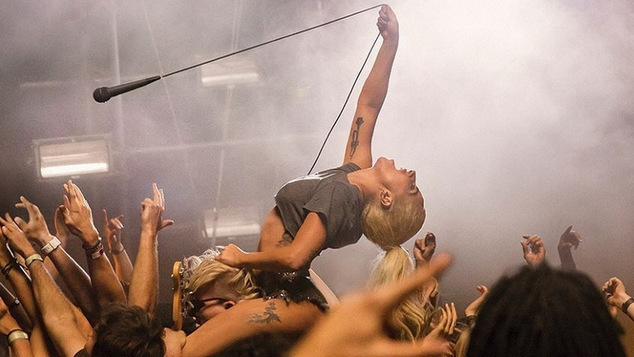 Lady Gaga joined Radiohead, Kendrick Lamar, Lorde, New Order, Roisin Murphy and more entertaining crowds at the Californian event. The new song doesn’t appear on Gaga’s latest offering Joanne, leading fans to expect a new release in the coming months. Watch Gaga’s debut of The Cure at Coachella below.